Shirley (Webber) Reed, 81, of Ellington, beloved wife of Harold P. Reed, passed away peacefully on Wednesday, November 19, 2008. Born in Exeter, New Hampshire, daughter of the late Harold and Gladys Webber, she lived in Springfield, Massachusetts before moving to Ellington over 54 years ago. Shirley earned her Associates Degree in Fine Arts from Asnuntuck Community College in Enfield. She was a long time member of the Rockville United Methodist Church. She was an avid bowler and bowled on the Greater Hartford WBA League for many years. Shirley volunteered over 20,000 hours at Rockville General Hospital and compiled census for the town of Ellington for several years. She enjoyed knitting, sewing and working in her garden. She was a loving and devoted wife, mother, grandmother, great grandmother and friend who enjoyed spending time with her family. 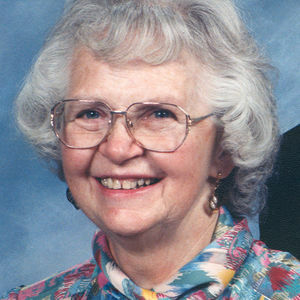 Besides her loving husband of 59 years, she is survived by her beloved children, Allen Reed and his wife Deborah of Windsor Locks, Gary Reed of Florida, and Brian Reed and his wife Tammy of Vassalboro, Maine; four grandchildren; 3 great grandchildren; a brother-in-law, Loren Reed and his wife Judith of Enfield and several nieces and nephews. Her family will receive friends for calling hours on Friday, November 21st, from 4 to 7 PM at the Ladd-Turkington & Carmon Funeral Home, 551 Talcottville Road (Route 83), Vernon. A memorial service to celebrate her life will be held on Saturday, November 22nd, 1:30 PM at the Rockville United Methodist Church, 142 Grove Street, Rockville. Interment will follow in Ellington Center Cemetery.